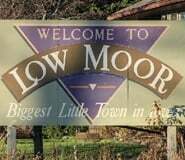 The City of Low Moor in Low Moor, IA was incorporated in 1859 and is located in Clinton County. Located in Clinton County, Iowa, Low Moor is minutes west of Clinton Regional Airport, and one mile south of US 30. The biggest little town in Iowa was founded on 320 acres of land and incorporated in 1859. 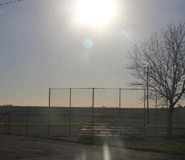 This bedroom community has many activities, including a baseball park with lights, two city parks, a tennis/basketball court, a 4-H club, the Lions Club, and the annual Low Moor Days which is held in July of each year. In addition, each resident may apply for a free library card to enjoy the use of all Clinton County libraries. The community center was completed in 1980 which hosts a variety of events and is available for rent. School age children (Pre-K through 12th grade) are considered to be in the Central DeWitt School District. Bus stops are currently located at the city park, community center, and fire station. The town underwent a major sewer project in 2011-2012 to meet DNR regulations. City of Low Moor was recognized in 2013 by the Iowa League of Cities as an All Star Community for the collaborative efforts to build a regional waste water reclamation center with the nearby communities of Clinton and Camanche. 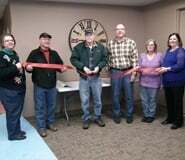 A new City Hall was completed in December of 2013, under the direction of Mayor Richard Meland and the city council, and allows the town to conduct business in a modern, welcoming environment. The office is located under the iconic water tower at the corner of 3rd Ave and 4th Street. The physical address is 323 3rd Avenue. Visit us soon and find out about the history of Low Moor, IA and check out some of our beautiful community facilities.